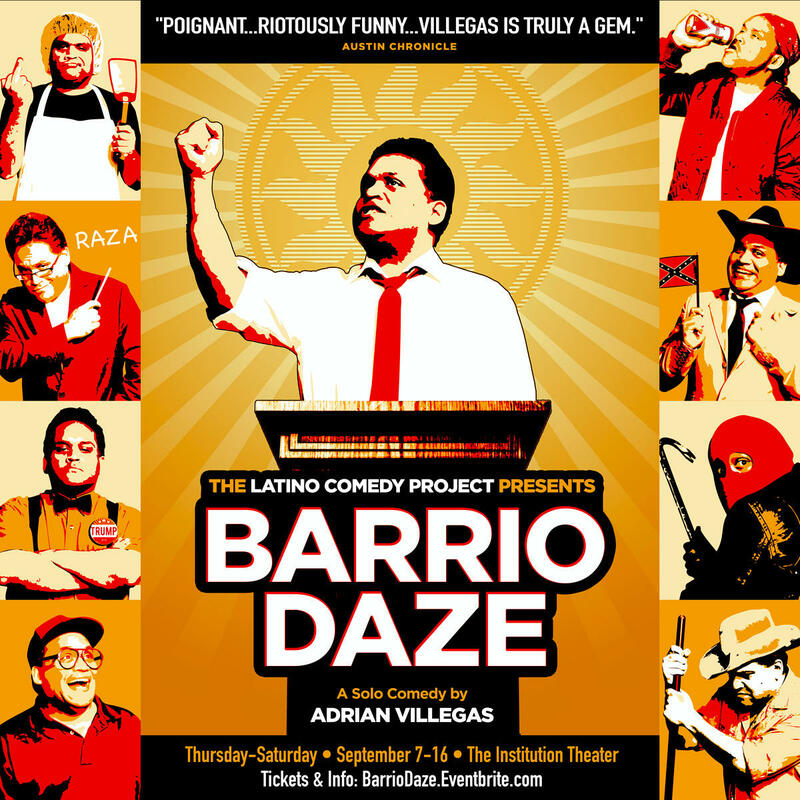 "The show's themes dealt with what, at that point in my life, I had seen as kind of a recurring cycle in America," says writer/performer Adrian Villegas of his solo comedy show Barrio Daze. He originally wrote the work in the 1990s, and has revisited it several times over the past couple of decades. "The xenophobia, the scapegoating, the attempt to try to make our community, the Latino/Mexican-American community, seem like outsiders in our own country -- I've seen that rear its head throughout my life," Villegas says. "But I've never seen it this way. The themes of the show are actually more relevant right now than when I wrote the show." Despite those serious themes, Barrio Daze is a comedy at its heart. It's a series of character monologues (Villegas plays nine roles during the course of the play) that tell the story of one eventful election day. "From morning until evening, you meet all these characters," says Villegas. Some of those characters are based on his family members, some are based on people he's observed. "There was a time when I didn't have a car... and I had to get around on the buses," Villegas says. "And I got so much material from that period." For Villegas, it's important to find and celebrate the humanity in all the characters he portrays. "That's what makes this stuff enjoyable to perform," he says. "Because you're not playing a two-dimensional character. You're playing somebody with a soul, even if it's a damaged soul." As he's aged and matured as a performer, Villegas finds himself approaching the show differently. He's more confident that the funny moments will land, and more invested in the character work. "The show's funny from beginning to end," he says. "That's going to be there. I'm not worried about that anymore. But I find that what's more important to me now is finding those moments of emotional exposure and vulnerability within each of the characters. I just want to make sure those are as real as possible." Finding and portraying that humanity is part of the message of Barrio Daze in 2017. "In a way right now, when you're kind of being dehumanized," Villegas says, "to do a work like this that asserts your humanity and the diversity of who you are is kind of a radical act." Barrio Daze is onstage at the Institution Theater September 7 - 16. 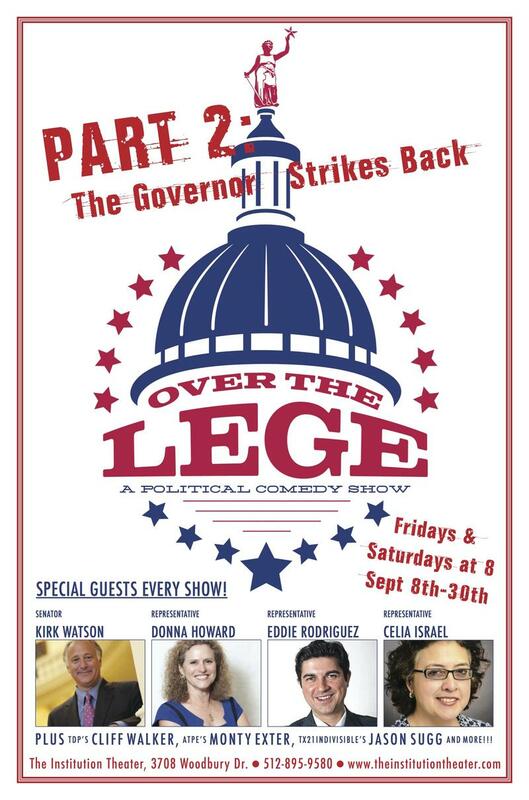 The political variety show Over the Lege is returning to the Institution Theater for a second season this September. It's the creation of Stephanie Chiarello Noppenberg, who pulled from her two diverse areas of expertise to develop the show. "I have worked at the legistlature for six sessions now... in both the House and the Senate," she says. "And you stay up really late at night watching these committee hearings, and you're like, Did they just say that... or do that?' And the answer is 'Yes, and people aren't paying attention.'" Every year around this time, the Out of Bounds Comedy Festival brings hundreds of performers -- from around the world -- to Austin. Over the course of a week, 130 comedic acts will perform, including sketch troupes, improv troupes, standup comedians, and performers who don't quite fit any of those categories. 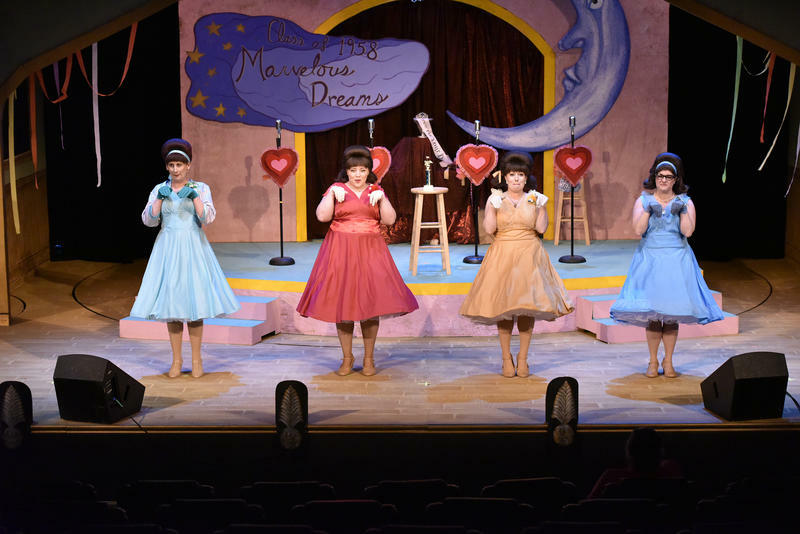 Since its debut in Milwaukee in 1999, The Marvelous Wonderettes has proven enduringly popular. The jukebox musical, which focuses on a four-member girl group performing at their 1958 high school prom and their 1968 class reunion, has been produced at theaters across the country, eventually enjoying an Off-Broadway run in 2008.